Drums darbouka djembe percussion keyboards programming. Soprano sax bamboo flutes, sitar, santoor, diruba. Multi-instrumentalist prem Joshua meets with musicians from India and Europe- a celebration of sounds and rhythms from east and west creating an exciting blend of world music: soprano saxophone, bamboo flutes and a great variety of ethnic Eastern instruments (table, darbouka, sitar, santoor, traditional Indian vocals, and more) together with keyboards and drums. This unique blend of instrumentation files effortlessly through many styles ranging from Arabic folk, ancient Indian raga, over desert groove and through African music. Multi-instrumentalist and composer Prem Joshua was first trained as a musician in his early childhood. Over the years, he has performed as Flutist/sax player innumerous jazz, fusion and rock bands. His search for his own spiritual and musical roots brought him to such countries as Greece. Turkey and Afghanistan and finally to India, where he lived for years, dedicating himself to meditation and the study of Indian classical and folk music. There he developed his own unique style of playing soprano saxophone and flute, integrating elements of jazz, Indian raga and desert tribal music. He also started playing a number of exotic instruments, including the santoor (a Persian hammer dulcimer), the dilruba Persian hammer dulcimer), the dilruba (an ancient Arabic bowed instrument), the bansuri (an Indian bamboo flute) and the swarmandal (an Indian harp tuned to the different scales of the ragas). He learned to play sitar under the guidance of Ustad Usman Khan, one of India’s foremost sitar masters. In 1990, Joshua formed “Terra Incognita”, a world music band, together with kora player Ravi and other international musicians, giving concerts throughout Europe and India and releasing two albums. In 1993 he produced his first solo album, Tales of a Dancing River, followed by Hamsafar and now his third album. Desert Visions. My special thanks to all musicians who have brought so many different colors and flavors from all over the world to this album, especially to all Indian friends, who managed once more to transform the recording sessions into a big feast. And to Rishi Vlote, whose dedication and creative input (and his patience with me) has brought such a fresh, new quality to this music. This album reflects an intense period of change in my life, of learning ever more to listen to the heart. It also mirrors my strong connection with India. Which I hate for it’s indifference. Poverty and pollution and love for it’s magnificent nature, it’s tremendous contradictions, it’s incredible musical heritage and especially for that certain subtle vibe created by the enlightened ones down the ages to present time. 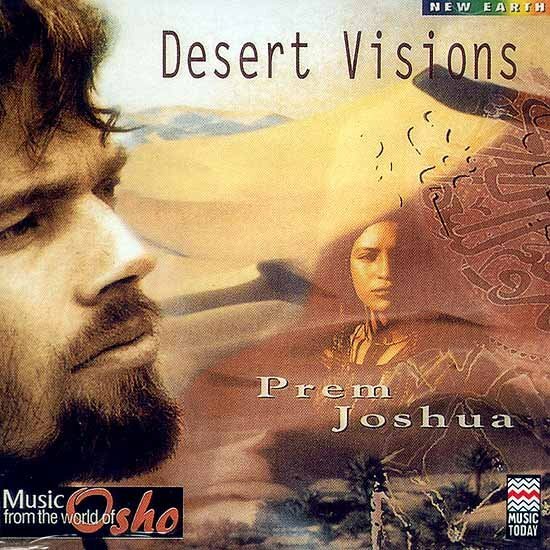 Prem Joshua: soprano sax, bamboo flute, swarmandal.